MTN and Bharti decided to terminate merger talks, the national treasury said on Wednesday after talks between finance minister Pravin Gordhan, MTN chairman Cyril Ramaphosa and CEO Phuthuma Nhleko. “MTN advised the minister that the two companies have mutually decided to terminate further discussions on the proposed merger, as they were not able to conclude all outstanding matters to enable the transaction to proceed,” the treasury said in a statement. The treasury said the SA government was, in principle, supportive of local companies that wanted to grow and diversify offshore from a domestic base. “We particularly welcome such diversification to emerging and developing countries, as SA is committed to deeper South-South relationships,” it said. The structuring of such partnerships was best left to the companies themselves, which had to make their decisions on commercial grounds. “However, when companies structure their relationships outside the current exchange control regulatory framework for such transactions, they require the approval of the minister of finance,” the treasury said. The treasury did not say whether these approvals would have been granted if the deal were to have proceeded. The treasury said the finance ministries of SA and India were committed to closely working together to lay the basis for the development of mutually beneficial mechanisms for such mergers. 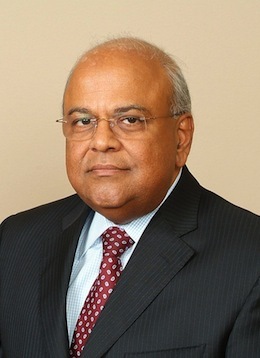 “In this regard, the national treasury has invited our Indian counterparts to SA to continue working towards a framework to support the growth and expansion of companies in both countries,” it said. In a separate statement, Bharti said the SA government had “expressed its inability to accept it [the structure of the deal]in the current form”. “In view of this, both companies have taken the decision to disengage from discussion,” it said. It is understandable that companies have to grow, however MTN is a something of a national icon.. a company started by South Africans and run by South Africans, with the exception of the very brief tenure of Bob Chaphe of course. As a former insider and contributor to innovation (I developed phase one of the company’s internal portal Yelloworld – in 2001) MTN has always been at the forefront of innovation. So why can’t the company grow through innovation? I can see at least 10 things the company could do without leaving the mobile tech space – on a humungous scale – that would keep it profitable and facilitate continue growth. Perhaps Phuthuma – as brilliant as he is – should take a Board position and allow some fresh thinking to come in at executive management level. That way MTN can still grow, and at the same time remain firmly in South African control. All these media reports about our national gems being gobbled up by foreign powers (regardless of what THEY term it) is rather sickening. The merger break-off is good news for me. How was I going to proudly tell my kids that I once worked for a South African company that is now owned and run by Sunil Mittal. I’d much rather they struggle with pronouncing Phuthuma Nhleko.